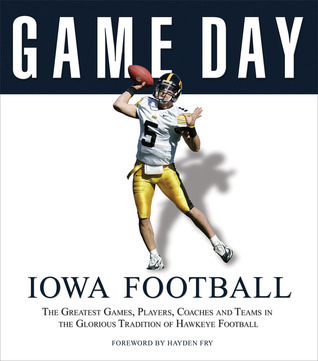 Iowa Football: The Greatest Games, Players, Coaches and Teams in the Glorious Tradition of Hawkeye Football is solid quick introduction to the highlights in Hawkeye Football History. The book is divided into chapters on players, coaches, big games, rivalries, quotes, traditions, and stats, making it a well-organized ready reference for when I'm trying to remember the big plays in the #1 vs. #2 battle against Michigan in 1985. The foreward by Hayden Fry is a nice touch since he's pretty much sainted by the Hawkeye faithful. I also liked getting a little more background on some of the players in Iowa's distant past, especially Nile Kinnick, the namesake of the Hawkeyes' home field. But if you're looking for an in depth history, you're out of luck. However, this is still another solid edition in the Game Day series produced by Athlon Sports and Triumph Books.